Here’s how to insert NIBA logo in your blogs! During this break, various things have happened, but I’d say that the main is I graduated. 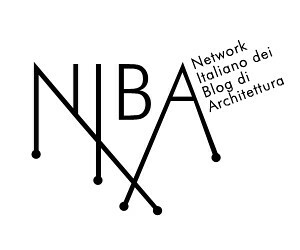 To resume the work of the blog, it seems the case, after several requests, post here some logos of NIBA | Network Italiano Blog di Architettura available to those bloggers who want to put a in their home page. Above you can see thumbnails of the two versions, black and white. Please note that they are both .png, with transparent background (the white and the black backgrounds that you see here are only to highlight the text, will not find them in the file where I’m addressing you to). Here is the code to insert into your blog / website. It already has links to the Facebook group. Simply copy the code and place it in your sidebar (or wherever you like) within a generic widget. I’ve made ​​it in three sizes. To get an idea of their proportions, keep in mind that the preview that you see on the beginning of the post are about 200 pixels wide. From the Nest to the NIBA! 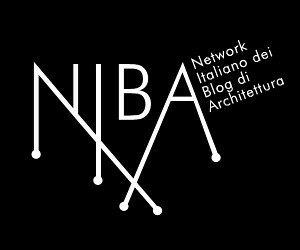 As you can see, now in my sidebar on the right stands a new logo, designed by Daniele Mantellato: that of Niba | Network Italiano dei Blog di Architettura (Italian Network of Architecture Blogs). Most of you will have realized that blogs and Facebook are very different instruments, for good and bad. We love blogs to leave us the freedom to give them our preferred shape. We love Facebook because of the ease we keep in touch with, and because its allow us to share content. We have created this group with the intention of making a blog connector out of it, in order to help Italian (or not) architecture bloggers to stay better updated on their activities. We only ask to give it visibility and share content: in particular, notes and links to your posts are welcome. My idea, therefore, was to create a simple «network in the network», as Alessandro Rocca (Low Cost Low Tech) has aptly called it. But, as I hoped, in short, the room was filled with faces and words, and a week after all we are already 97. Perhaps the Italian blogosphere is not as deserted as it seems, since many quite heated discussions have already born in the group. Anyone interested is invited to join and participate! As you can see, the names are many but the links are few. This is because I do not yet know many of you, or I haven’t got the address of your blog, or even I have accidentally skipped someone. I intentionally avoided the study sites with only portfolios, because I believe that the spirit of Niba is clearly more than a mere demonstration of everyone’s work. If I forgot someone or done something wrong, or if you think that the criterion for selecting the link is invalid, comment and I’ll rectify immediately. Now, what do we expect from this Niba? In truth, I have no idea. This however is part of the game, because I expect surprises.